Never miss another review! 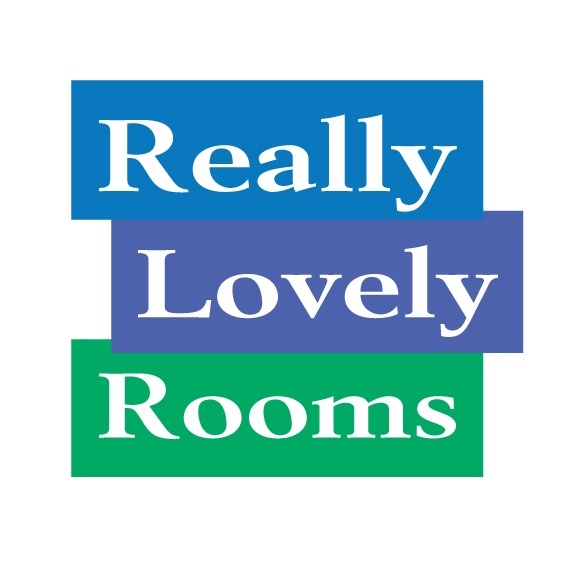 Click the toggle above to be notified about new Really Lovely Rooms reviews. We promise not to send you unrelated messages. "Clean and tidy rooms. Terms are well explained. Rent rooms on a weekly basis. Very friendly staff." "Housekeeper is not professional, she is rude, don't know to how to talk politely. According to me, we can get better in this price." Our House Managers are trained to provide the best customer service for our tenants. I’m sorry if you think the level of communication didn’t meet your expectations. We’re happy to offer you another room in one of our properties, if you wish to move please contact our lettings team. "Very nice and comfortable stay!" "The best thing about your services is housemates and very kind and helpful maintenance guy. My only concerns are cold in the room, electric showers and paid washing machine. Other than that everything deserves its name: Really Lovely Rooms." "Large Room, Clean Kitchen, Friendly roommate&housekeeper. Nice Place, oil salt coffee sugar provided the house, everything is good." "The BEST choice in Bristol, either for short term or long term accommodation. Really made my life easier and will definitely choose again Really Lovely Rooms next time I will go to Bristol for work"
"Really Lovely Rooms is a very nice team. I had a very nice experience with them. Hosekeepers as well are brilliant. They respond quickly and easily approachable even out of ours in case if you need them. They are very supportive and honest. They understood my requirements and preferences very well and supported me accordingly. I cant recommend them highly enough. Bless you team RLR." "I love RLR. The housekeepers are incredibly friendly and keep the communal areas in the houses clean and tidy. The house I'm staying in now is really quiet and peaceful and the service I have received has been amazing so far." "I will give 5 for customer service (Lesley and Saby) and cleaness in houses. But -1 for people running house - housekeeping. They think that they are most important people in house but I guess the getting salary from my money and I think they should do everything to make people leaving there feel well." "Dear All, I appreciated my staying in the room at Croptorne Rd, the house is great and the service is very good." "ლ(╹◡╹ლ ) 提供油盐咖啡茶糖...餐具厨具每天清洁工作...离学校很近 很适合学习 ლ(╹◡╹ლ ) Provide kitchenware,tableware,oil,salt and clean service everyday....near UWE suitable for study." "Amazing service and very friendly staff." "Very good team and very well organized team members. I felt very much supported and cared since I have been staying with really lovely rooms. House keepers are brilliant and they do their jobs perfect. It is a very helpful service for people who are looking for short term or long term accomodation." "Clear Quiet Kitchen good equipmened More toilets and bathrooms Nice peple Sergio is very helpful Short way to busses Short way to shops Ladies from agency do everything very well"
"If you need a place to stay with no ties really lovely rooms is the Perfect place.,the houses are friendly clean and having a live in House keeper has its advantages. If your in need of a place long term or short term I would Recommend really lovely rooms." "It was a really nice stay. The house was kept extremely clean. I personally do not like sharing bathrooms but this felt like it wasn't shared; it was kept clean and used properly. The kitchen was also extremely clean and the environment was generally peaceful. It is nice to see how people adhere to the rules and follow them, respecting others. The housekeeper was active and kept the house clean also. She was also very sweet. Initially it seemed far from UWE but I started to enjoy the walk. The house was generally very clean and comfortable. Overall I enjoyed my stay very much and thank the administration for having such a wonderful set up!" "The staff is very very uncooperative. I got the big room and windows were literally so jammed that i wasnt able to move them up and down. Really really hard. One of the bathroom standing shower drain was blocked and was difficult to had shower. It was utterly disgusting." Thank you for your comment, we really appreciate that you spent some time to share your thoughts with us. I’m sorry if you found our staff to be uncooperative. We tried to do our best to find you a room within short notice and provided you with a room from Thursday to Thursday which we don’t normally do as we let from Sunday to Sunday. I’m glad that we could provide you with flexible service which fit your needs. Regarding the window in your room; this has been investigated and we think the window is in good working order. It can be opened and closed with minimum effort. The shower drain blockage hasn’t been reported to us by you and still we have no reports from other housemates that it is blocked. If this would have been reported, we would have sent our maintenance team there to check it asap. We appreciate that you were not entirely happy with the standards though. Thank you again for your valuable feedback and we wish you all the best in your current accommodation. "The place has a relaxed friendly atmosphere the house keeper is always there if you have any issues,which in my almost three weeks here are very rare.if your looking for a place to stay short term or longer give them a try."